Have I ever told you that I love Vin Diesel? OMG! I've been waiting for this movie since Vin Diesel's appearance in Tokyo Drift. I love furious car chases and action thriller movies which will give me a great two hours of adrenaline pumping entertainment in general. 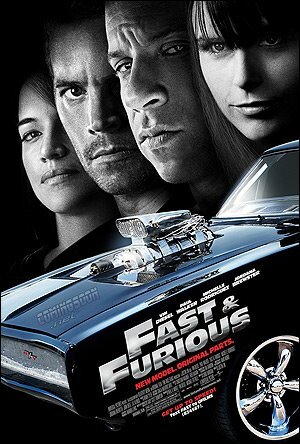 Last Saturday, we went to Pavilion and we were planning to watch the fourth film in The Fast and the Furious film series. Unfortunately, all the tickets were sold out except for the neck-breaking front row! Nothing is more frustrating than that since I really want to watch that movie. So after we did some shopping, we went to Cineleisure for the midnight show. If you've ever seen even a part of one of the movies in the Fast and Furious series, you know that some talking happens between fast driving set-pieces designed to make you grip your seat arms in excitement and blow you back against multiplex upholstery. Except this time, the cars seem to be considerably less flashy. Gone is the shiny, neon, girlie Japanese street racers. However, the movie was incredible. It was the best opening ever for a car-themed movie and I will be among the first to buy the DVD! 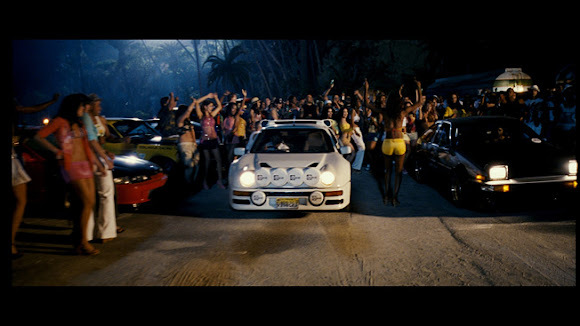 Hot babes in skimpy clothes and there's always a Ford RS200 at every street. Cheaper Skyline GT-S models to portray the GT-Rs in the film. Subaru donated seven new WRX STI hatchbacks to the production. Vin Diesel, I love you give us another sequel; roll on Fast and Furious 5! 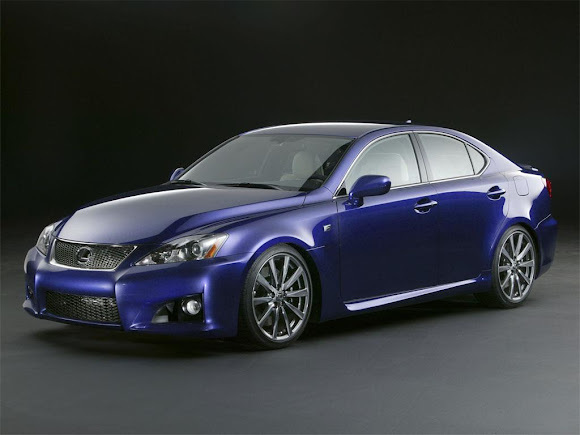 Now, I am busy drooling over the 2009 lexus is -f! Take a look at the car. I am sure with a 5.0-litre V8 producing 416 horsepower, the rear-wheel-drive IS F is some super leaf blower, sweeping the roads clean as it breezes by! The interior is, simply, exquisite. Well, if you want to be pampered like an Oil Sheik, buy a Lexus. I can't fault it so I'll just shut up now. Cool! I don't really like these kind of movies actually..lol! Oh.. But the Lexus car is really nicee..
Am I the FC???? Weird.. lol! Yeah but for a diff car, huhuhuh! I am going through the FCC list now and deleting all the dead links! I haven done MM for MPG oso Mon!!! hehe... I drool over those cars and be sad that I can't afford them ..oh well *DONT_KNOW* btw, have you watched this movie? still thinking of what song is it Mariuca? Still thinking and still undecided Mon lol!!! Maybe I won do oso MM for mpg this week!!! I like fast cars.. I like to be in them.. not watch them actually.. haha! For cars, I prefer white or black depending on the look of the car really.. I'm a boring person. What to do? LOL! Oh.. it doesn't matter. Just that never in a million years do I thought that I could be your FC. There's like gazillion people here who are very fast.. lol! I love fast cars, but never liked mod cars (external) - gay. :-) Fast & Furious was OK but I felt it ran out of ideas. i watched this last wed. totally enjoyed it too! Wow! U know your stuff about cars and Fast & Furious movie. FYI, the Nissan GT-R used by Paul Walker is not a "real Nissan". My friend bought the latest Import Tuner magazine and they revealed that the Nissan Skyline was actually a Kit car or u can call it a replica made by a company called Kaizo. "Contrary to what your eyes are telling you, this is not a Skyline. It's not even a Nissan, for that matter. It's a kit car, made of the Nissan R34 Skyline GT-R chassis, imported by Kaizo Industries, and given a Nissan RB26DETT engine swap. Its a Kaizo R34 GT-R. At least, this is what the cool kids are telling the Feds these days, when they want to drive JDM Skylines, legally, on U.S. streets. Having owned more R32s, 33s, 34s, 35s, S15s, and other JDM rides than we can count, this is the process Daryl Alison and JustDriven.com recommend to all their clients; clients like Paul Walker, who is having Daryl and co. build his third R34 GT-R; this one, a fully dedicated track car. 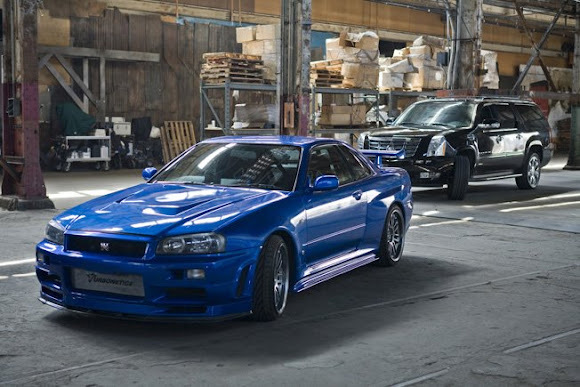 When direction decided that an R34 should star as Brian O'Connor's car for two-thirds of the new film, they contacted Daryl to import eight of them." Nice movie...good action scenes! Watched it on the opening day here about 2 saturdays ago with my hubby. To complete the thrill, we watched all movies including tokyo drift on dvd at home before we headed to the cinema. Nick, F&F is Rated PG-13 for intense sequences of violence and action, some sexual content, language and drug references.. hehe! 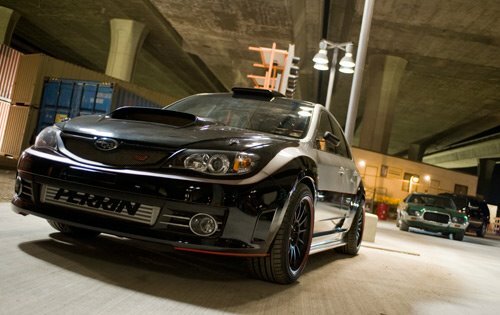 oh yes, I absolutely LOVE Subaru!! Recent blog post: tag: zzz..